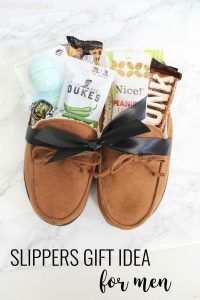 Over the past few years I have fallen in love with using Amazon wish lists for gifting. 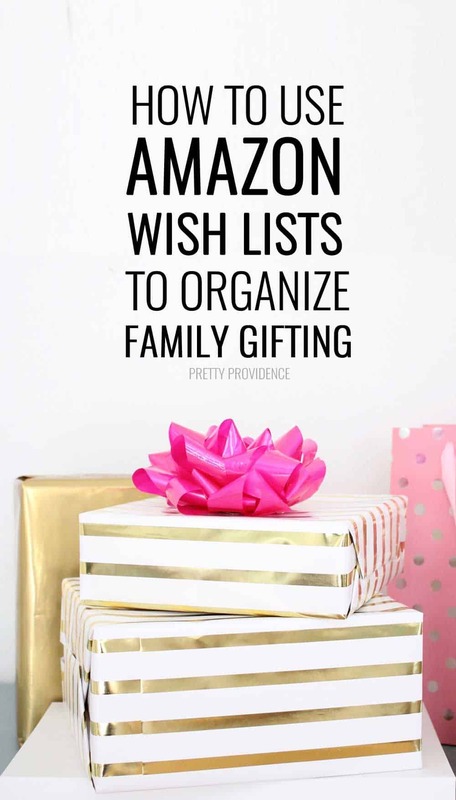 Whether it’s for Christmas, birthdays or just because, using these wish lists helps so much in sending gifts to the people you love! I want to break down how I’ve used it and gotten my family on board too, making all of our lives easier – especially when it comes to Christmas shopping and gift exchanges. *What is an Amazon wish list, you ask? It’s a gift registry, just like a wedding or baby registry – but for any time! When someone makes a wish list, friends and family can buy gifts for them from the list and Amazon will ship them straight to their door. Now, I want to preface this by saying that I know this is not the solution for every family or group of friends. That’s fine. But I think that it will work for a lot of people, because it definitely works for our family! If you already are familiar or have a wish list, go ahead and skip over this part, but scroll down to read the rest! Choose ‘Create a List’ and then select ‘Wish List’ – follow the rest of the prompts. Giving it a descriptive name is good because down the line you may want to have multiple lists. My sister in law has a regular wish list, and a book wish list. I have a gift wish list, a home goods wish list (that I keep private) and so on. Unless the person you’re searching for has a really uncommon name, it’s easier to use an email address to search for them. Once you find the right person you have the option to “Remember” them, which means that you save their profile to your friends, and then you can easily view their list whenever you want! This is awesome if it’s a friend or family member that you buy gifts for a few times a year. 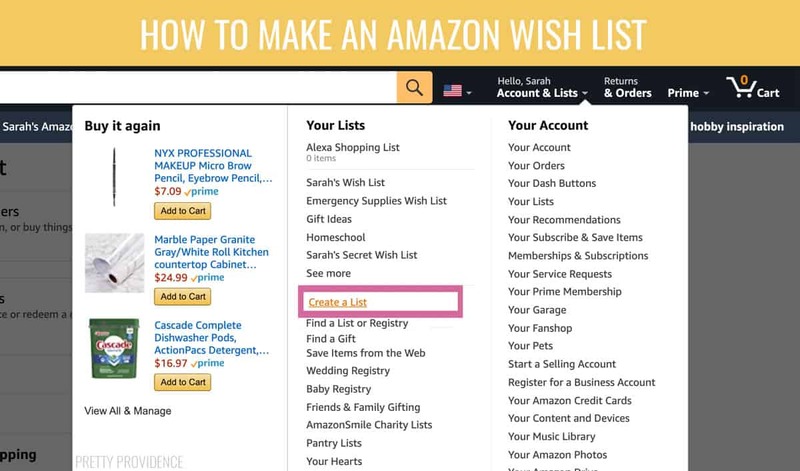 Step 1: Explain what Amazon wish lists are, and how to use them. Feel free to send the link to this post for them to read! Ask if this is going to work for everyone. Step 2: Everyone set up their list. 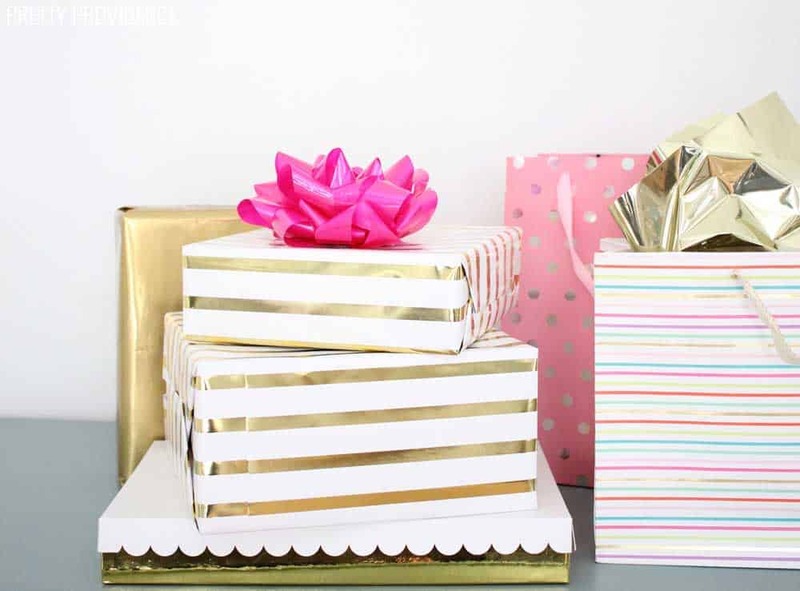 Step 3: Make gift assignments, if you do it that way. In our family, we have a rotation. Some people do secret Santa. I know some people just give something to everyone – that works too! Step 4: You can either send out your link to anyone who asks, or one person can gather each person’s link and send one big email. Step 5: HAPPY EASY GIFTING! 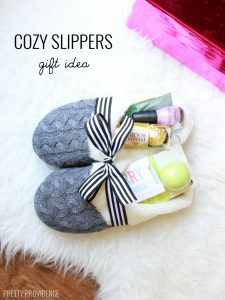 I also will add that not every person has to be on board, but even if just a few are this will help streamline your holiday gifting! 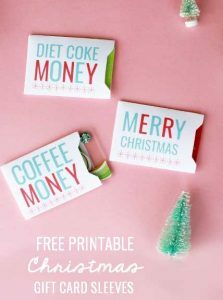 The obvious reason this is so awesome, is that you can get your family the gifts they actually want! The less obvious reason, is that using these lists helps other people to know what’s already been given, so you don’t have to worry about duplicating gifts. It’s amazing. The way that Amazon has this set up, is that the list owner can’t see what’s been already purchased for them – it doesn’t ruin surprises! BUT to anyone else viewing the list, items that have already been purchased, disappear from the list, leaving only the things that haven’t been bought yet. Can I sing the praises for this enough? I can give my wish list to my mom’s side, my dad’s side, and my in-laws, and no one has to worry about getting me a gift that I already have. 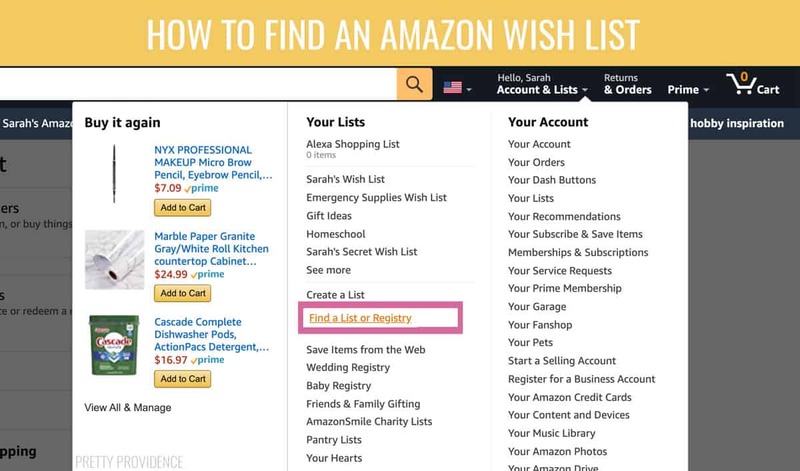 LASTLY – YOU CAN ADD ITEMS FROM OTHER STORES TO AN AMAZON WISH LIST! That’s right, you heard me. 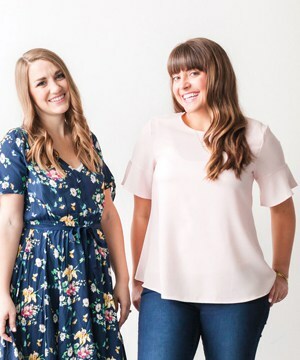 Your list doesn’t have to consist of only items found on Amazon.com – you can add things from Target, Nordstrom, anywhere. There’s no way to find a list of a friend any more – that ‘find a list or registry’ item doesn’t appear in the drop down list now. It seems the only way you can find a friend’s wish list is by sending them an email to ask them for a link. Why doesn’t the Amazon web site say this so that we don’t spend hours trying to find out how to search for it??? Hey Helen! I’m sorry you haven’t been able to find it, but I still see it in my drop-down menu! Best of luck. Yes, it will not show the friends’ address due to privacy, but it will still send the gift to their house! That’s a good question! I’ve had that happen before too. Sometimes there is a receipt inside that says ‘say thanks’ with a bar code, and you can see who sent it and send them a note. If that doesn’t come in it, I think the only way to know is to ask customer service.